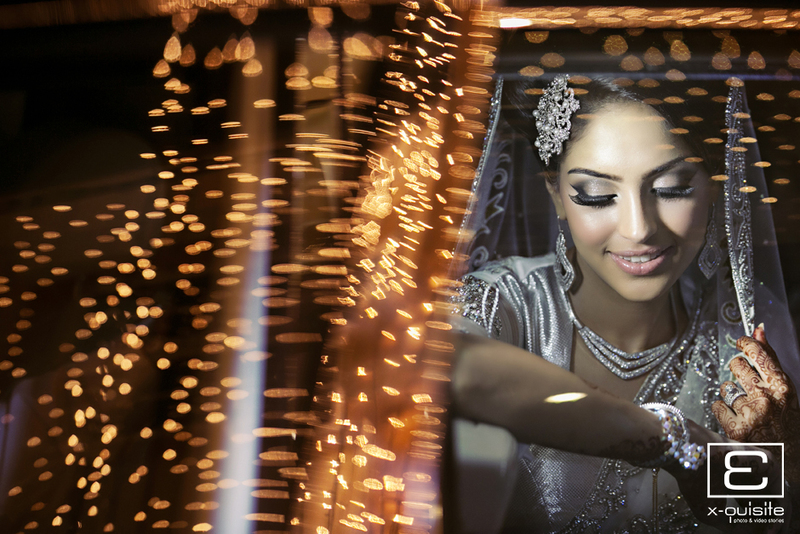 This above image was shot at Aliyah & Abbasli’s wedding. The bride and groom arrived at the bride’s house for the Rukasti. 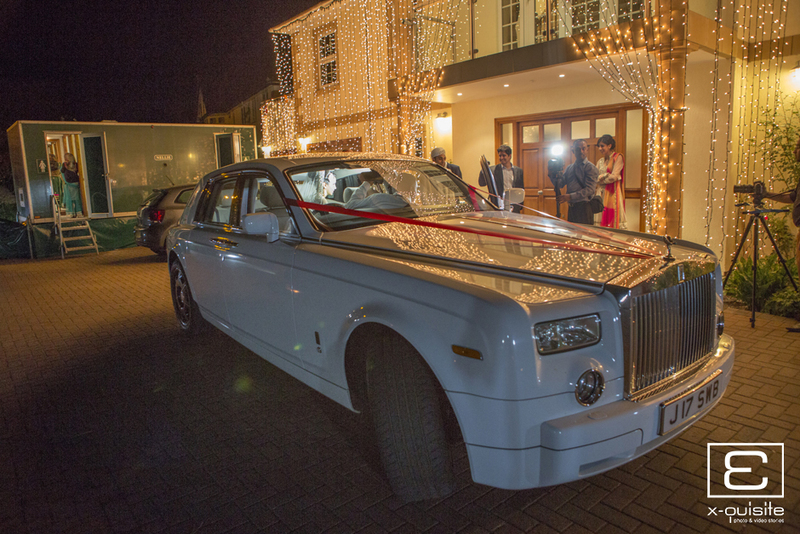 The Rolls Royce pulled up in driveway, we asked the driver to park as close to the main doors of the house as possible. 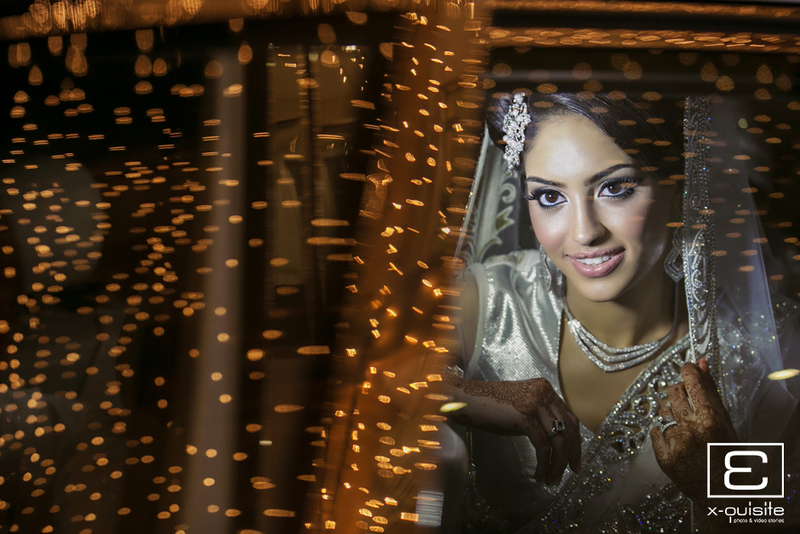 The house was decorated with lights and we were not going to miss out on an opportunity for a great shot. 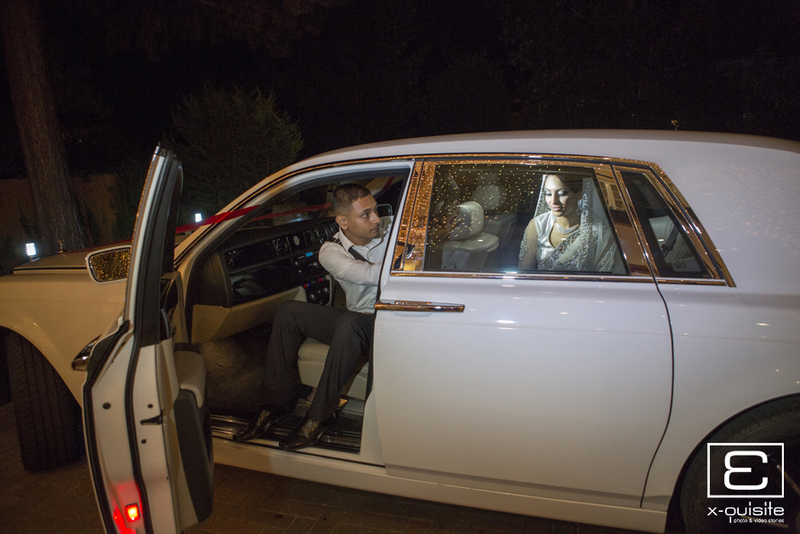 Here is one of the images captured of the couple in the Rolls Royce through the front windscreen. 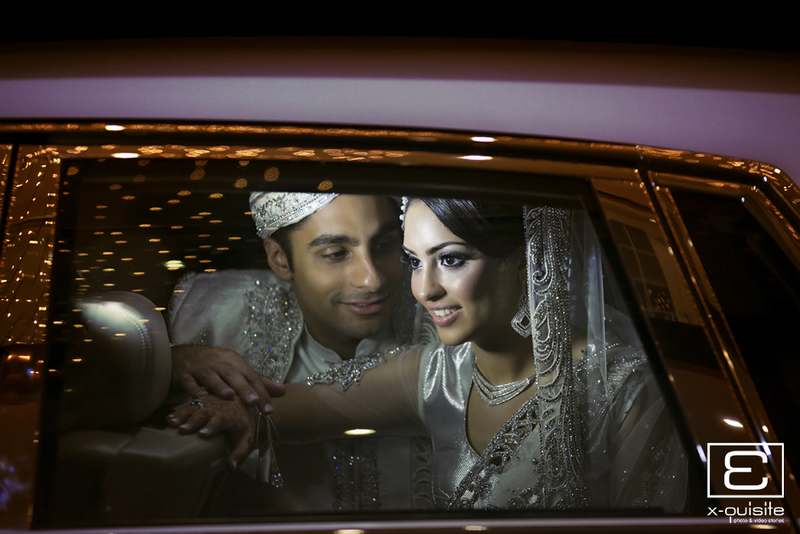 The couple were directed to turn towards each other while an assistant sitting low on the front passenger seat with a dimable LED video light illuminated the couple.